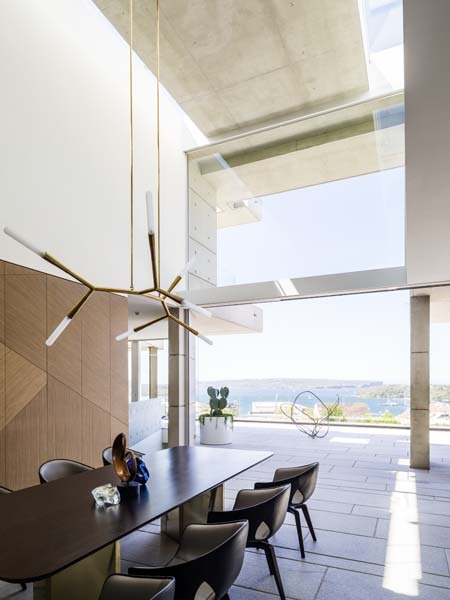 This family home is positioned on two vertical adjacent sites, allowing generous open living areas and wide views to Sydney Harbour. The style is strong, classic and inherently sophisticated. 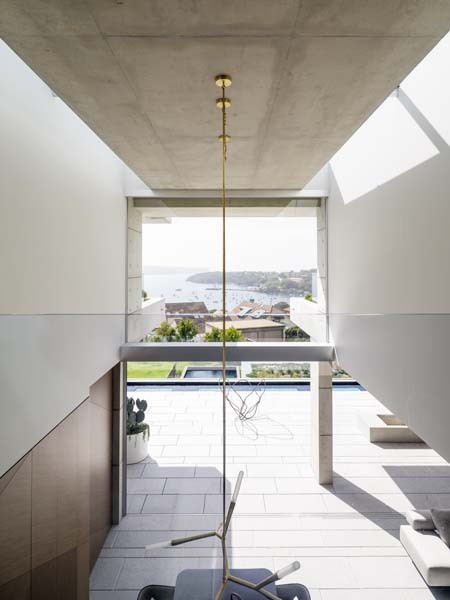 The entry drama is emphasised by a double volume space with views to the Harbour. Recessed into the hillside, the main living area is below street level for privacy. 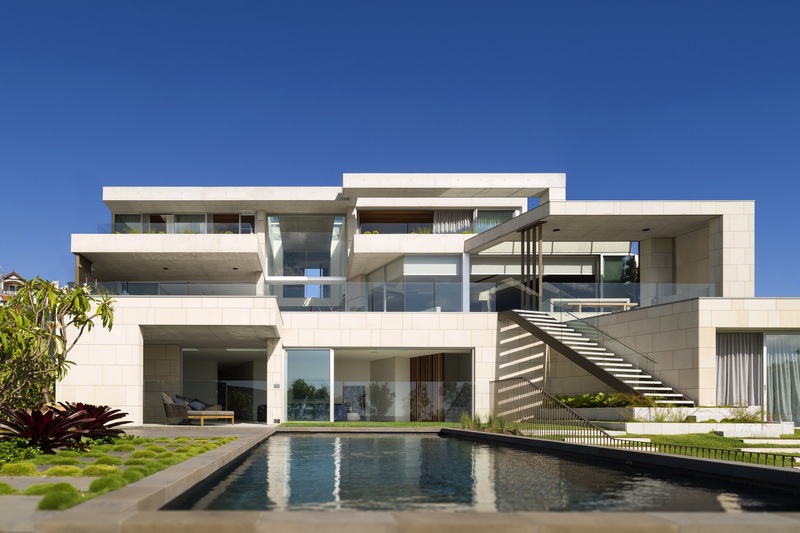 It opens on two sides, to the expansive Harbour view and to a secluded garden with exposed rock feature; embracing the sense of being surrounded by natural elements. 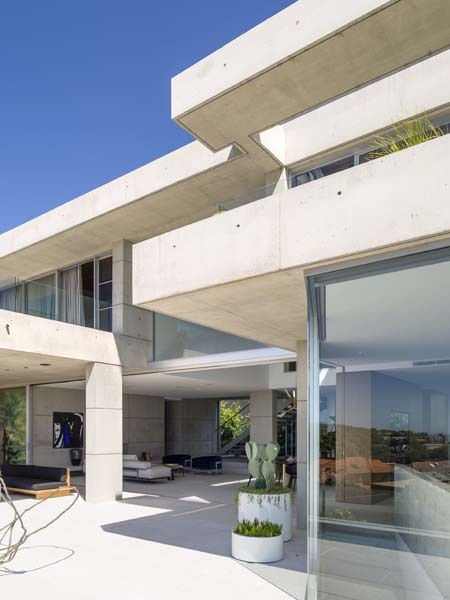 Clever architectural detailing and engineering solutions enable unique features: structure-free living areas, large concrete overhangs and impressive canopies. 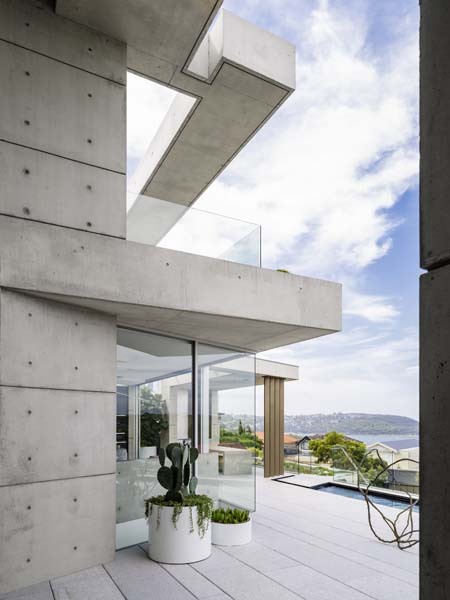 Throughout the house, pristine off-form concrete work combines with large granite tiles and sandstone cladding. The light tone of sandstone is offset with warm wood and bronze used for internal cladding and screening. The hand-cut grey granite counter further showcases and contrasts the pristine craftsmanship.